For Hollywood horror director Harry Tuttle, fame isn't what he thought it would be. It wasn't nearly as stellar, and had faded before he knew it. After a few praise-worthy films in the 1980s, eventually Tuttle found himself working for a direct-to-DVD company writing and directing 45-day films that got little attention--at least, little good attention. And as Harry is about to start pre-production on yet another PJ Productions “masterpiece,” Tuttle's own sense of self-worth is at an all-time low. Then in walks Marcus Stegman. Stegman is a horror buff and filmmaker, he tells Harry. But in Hollywood, who isn't a filmmaker? Stegman asks Harry to take a look at his movie, and he hands over a burned DVD copy of Deadly Desires, which Stegman filmed with some friends and a few actors he happened upon, shot on digital video and edited on Marcus's home computer. Harry Tuttle humors the amateur auteur but when Stegman leaves, Harry tosses the movie on a pile of hundreds of similarly-submitted movies that usually just get trashed once a month. But when the young actress Harry had pegged for the leading role in his upcoming movie declines, saying the movies Harry makes aren't really the vehicle for her, Harry needs a pick-me-up, something to raise his spirits and ensure him he really is a good filmmaker. To prove it, he'll watch some of the dreck that's been sent into the PJ Productions offices. First up is Deadly Desires. So to deal with this intense jealousy, Harry Tuttle approaches Stegman with a deal. Stegman is hesitant, but mounting money problems and a drug habit force him to take the deal. And when Deadly Desires becomes the talk of the town, then the country, and finally world, Harry Tuttle is right where he always wanted to be. The only problem is, when PJ Productions begins preparing for the DVD release and Harry wants to contact the lead actress, a woman he'd never heard of before or since, he finds out from Marcus something film critic Walter Wiggins deduced on his own from watching the movie over and over: the murder of the actress known as Sandra Ross, the one who gave such a brilliantly convincing performance in her death scene . . . yeah, that's because Marcus Stegman and his two friends actually killed her, then passed it off as a performance for their movie. Scratch that, HARRY TUTTLE'S movie. It's at this point Harry decides maybe everyone in the world paying attention to him right now isn't such a good idea. Brian Pinkerton is a name I was previously unfamiliar with, but I'm so glad I know it now. While his style isn't anything flashy, it's solid, it's well-paced and detailed. His dialogue is honest and his plot is convincingly intricate. He gave us just enough of the secondary characters to get our attention, filled in his subplots with no more detail than necessary so we never feel bored when he steps away from the main action, and he knows perfectly when NOT to dwell on the unimportant stuff. 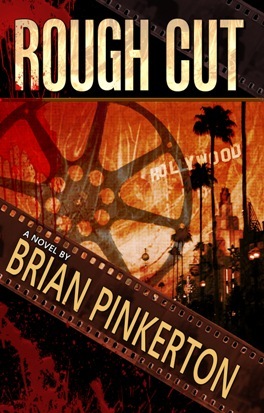 I don't know about his other work, but for Rough Cut at least, Pinkerton has heeded Elmore Leonard's advice and left out the parts readers skip. To be honest, when I first saw this book, I was a bit intimidated. At 368 pages, I anticipated a week or more of slogging through, counting the pages, just wishing for that last one so I could put this behemoth away and move onto something lighter. But once I started reading, and read some more, and kept on reading, I realized there was nothing to fear from Rough Cut's page count because in Brian Pinkerton's capable hands, I moved through this thing in a matter of days and before I knew it, I was done. And I mean that, literally. I finished the book this morning before work, but I didn't expect to finish it until afterward. It went so quickly I got to the climax and thought “What's he gonna do for the next 20 pages?” Nothing, because, as it happened, I only had 6 more to go. Pinkerton just handled this book so well, I truly did lose myself in it. I can think of a handful of other horror authors who could learn a thing or ten about how to write a novel from Brian Pinkerton. Rough Cut is the real deal, highly recommended. 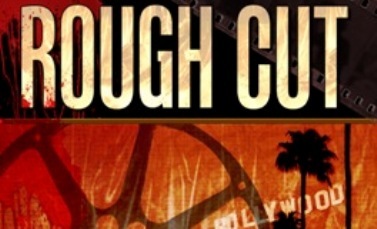 You can buy Rough Cut HERE. Brian Pinkerton scrawls creepy novels and short stories. His books include Abducted and Vengeance for Leisure Books; Killer’s Diary for King’s Way Press; and Rough Cut for Bad Moon Books. Select titles have also been released as audio books and in foreign languages. His debut novel, Killing the Boss, was recently reissued as an eBook. 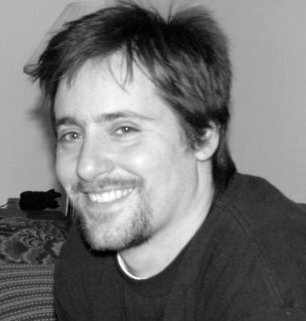 Brian’s short stories have appeared in anthologies including Chicago Blues (Bleak House Books) and Zombie Zoology (Severed Press). His screenplays have finished in the top 100 of Project Greenlight and top two percent of the Nicholl Fellowship of the Academy of Motion Picture Arts and Sciences. His academic background includes the Iowa Writers Workshop. C. Dennis Moore lives in St. Joseph, Missouri. He’s been writing just about forever with over sixty stories and novellas published, plus a collection of his short stories called Terrible Thrills. Recent and upcoming publications include the Vile Things anthology from Comet Press and his novella Epoch Winter will be published by Drollerie Press.